Organised by Marc Levy of the JLC, Councillors Zahid Chauha, Rishi Short, the Leader of Bury Council, Barbara Keeley MP, Shadow Social Care Minister, and Jonathan Ashworth MP, Shadow Secretary of State, visited the Prestwich-based charity to gain a better insight into the role The Fed plays in providing social care for the Greater Manchester Jewish community. “We discussed workforce issuesand the funding difficulties we face, particularly from the NHS, in relation to nursing care,” Mark continued. 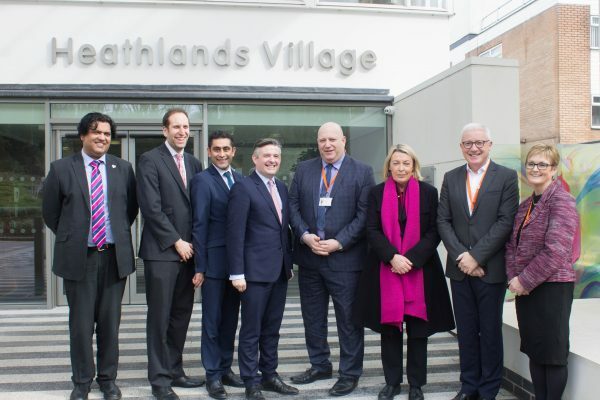 “At the same time it we were able to celebrate the partnership work between ourselves and Bury council,delivering a ‘home from hospital service’ that enables people to leave hospital sooner and get home quicker. The project is helping to reduce delayed discharges and ensure hospital beds are there for more critically ill people. We are also soon to become the first care home in the country to host an integrated care teamof district nurses, social workers, physiotherapists and other professionals serving the local community. It is a great example of collaborative work. Rather than the council having to pay for commercial premises we have been able to let part of our building to them. The income we receive will be re-invested in our volunteering services department which in turn supports people’s health and wellbeing.